DSV A/S agreed to acquire Swiss rival Panalpina Welttransport Holding AG in a deal worth $4.6 billion that will create one of the world’s largest cargo-handling and logistics companies. The board of directors of Panalpina recommended shareholders accept the mostly stock offer worth 196 Swiss francs a share, the companies said in a statement on April 1, confirming a Bloomberg report. Panalpina shares jumped as much as 16% to 192.80 francs, while DSV was up 0.1%. in Copenhagen. The price represents a 43% premium from Panalpina’s closing price on Jan. 15, the day before DSV’s initial proposal. The agreement has the backing of investors holding 69.9% of Panalpina’s registered shares, including the Ernst Goehner Foundation, which owns a 46% stake and had rebuffed a previous offer. The accord is the latest move in DSV’s long quest to gain heft. The company has grown into the world’s fifth-largest freight forwarder through a series of acquisitions over the past decades. 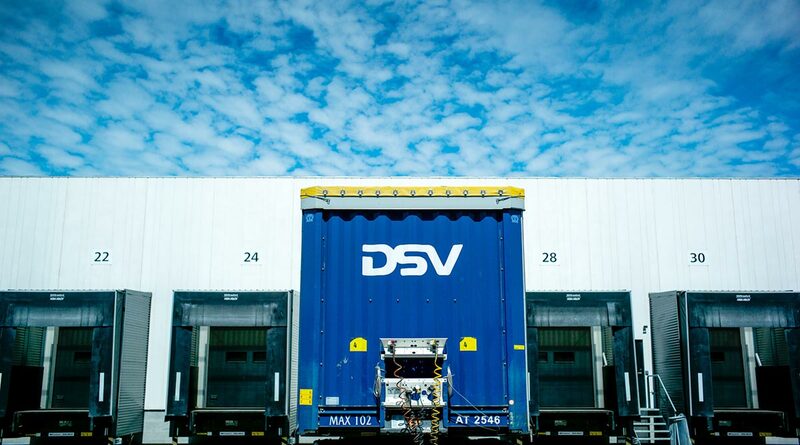 In combining with Panalpina, DSV will become the world’s third- or fourth-largest freight-forwarder and the No. 2 in air freight, DSV CEO Jens Bjorn Andersen said in a telephone interview on April 1. Panalpina ranks No. 4 on the Transport Topics list of the largest airfreight forwarders in North America and DSV ranks No. 9. On our ranking of ocean freight forwarders in North America, they rank No. 5 and No. 6 respectively. Panalpina will help boost its air-cargo volumes and ocean-going containers operations, complementing the Danish group’s strength in road shipments. The combination is expected to increase DSV’s annual sales by close to 50%. The deal also ends months of speculation about the future of Panalpina, which in mid-February announced talks with Agility for a logistics tie-up in an effort to avoid being taken over by DSV. Minority shareholders, including Cevian Capital and Artisan Partners, went public with comments in favor of a DSV takeover, adding pressure on Panalpina’s management and the foundation. Both investors back the offer, the companies said April 1. Event-driven brokers Olivetree Financial Ltd. said the process highlighted the difficulties in working with Panalpina’s top shareholder, the Ernst Goehner Foundation. “This feels likely to be the final iteration of a turbulent process and a positive outcome for shareholders,” Olivetree said in a note. DSV made a first unsolicited offer worth 17O Swiss francs a share before sweetening the bid to 180 Swiss francs per share, valuing the target at about 4.3 billion Swiss francs. After the deal, the foundation will become DSV’s top holder. DSV is paying a “hefty” price, Zuercher Kantonalbank analyst Marco Strittmatter, who has a market perform recommendation on the Swiss logistics company, wrote in a note. The takeover comes months after DSV walked away from another Swiss target, Ceva Logistics AG, after its offer worth $1.7 billion was rejected. DSV said at the time it would pursue other targets. The global freight-forwarding industry is coming under increasing pressure amid trade tensions between the U.S. and China. Leading players in the highly-fragmented sector are also targeting bigger deals to tap new markets and add cutting edge processing systems to safeguard them from disruptive technology. Following completion of the transaction, DSV will propose changing the name of the combined entity to DSV Panalpina A/S. The new entity will have pro-forma revenue of about $17.8 billion, a workforce of more than 60,000 employees and operations in more than 90 countries.